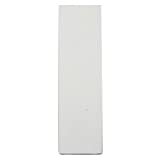 Reverb Controls:Decay- Controls the decay length of the reverb.Mix- This is the volume control for the reverb. 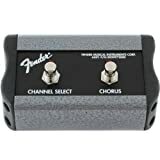 Measures6.75″ x 5.25″ x 3.25″ with knobA power supply is included with this pedal.Our pedals take a standard 9 volt DC power supply with a 2.1mm negative center barrel. Current draw is 425 mA. The Avalanche Run was developed on a high-powered proprietary DSP platform to recreate all the characteristics of all our old favorite delay and reverb machines while still retaining a simple, yet flexible workspace. 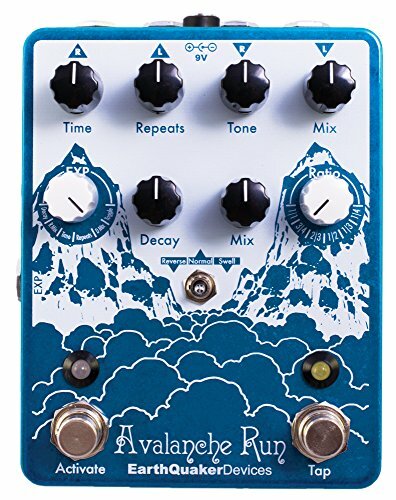 The Avalanche Run provides up to 2 seconds of delay time and a lush reverb. 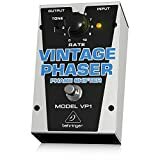 It features complete control over delay time, repeats, mix and voice (with the tone control), as well as control over the reverb length and mix. It can run in one of 3 different modes: Normal, Reverse and Swell. In “Normal” mode, the Avalanche Run functions as a straightforward delay and reverb. In “Reverse” mode, the delay line is in reverse and the reverb remains in normal mode. In “Swell” mode, the Avalanche Run reacts to your picking dynamics and adds a volume swell to the entire signal path much like manually raising and lowering the volume of your guitar. The Avalanche Run features an expression jack that can be assigned to one of six different controls using the “EXP” selector switch. It also features Tap Tempo with six different ratios accessed via the “Ratio” selector switch. The Avalanche Run can also be run in “True Bypass” mode or “Buffered Bypass” mode for trails and features 5 different tail lengths including “Infinite” for lo-fi and continuously degrading pseudo-looping. The Tap switch also has a few other cool secondary functions. While in Normal and Swell mode, you can send the Avalanche Run into self-oscillation by holding down the “Tap” footswitch. In Reverse, mode holding down the Tap switch will flip the delay back into Normal mode and return to Reverse mode once released! Each and every Avalanche Run is completely assembled, wired and tested by total human beans in the tiny tundra town of Akron, Ohio.